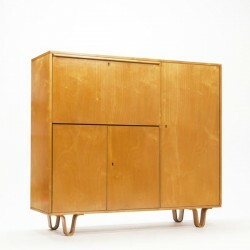 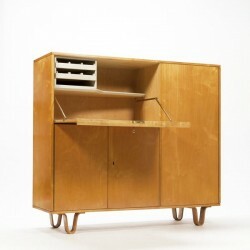 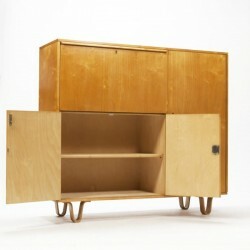 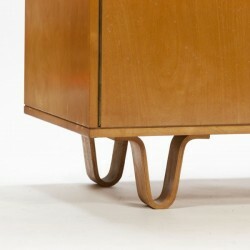 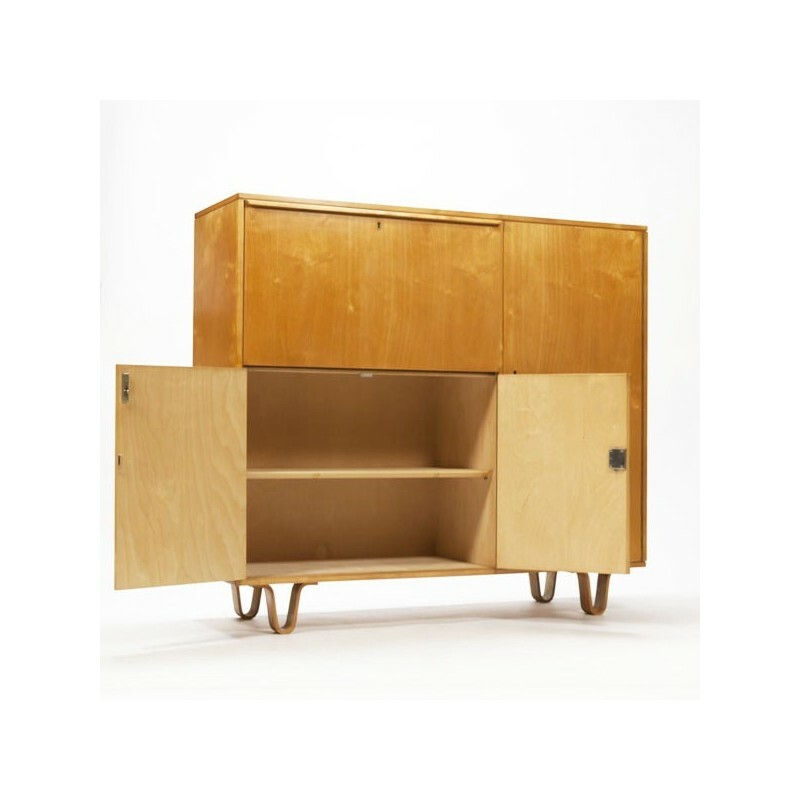 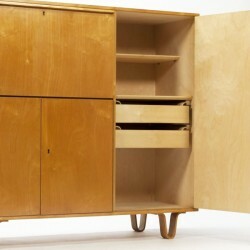 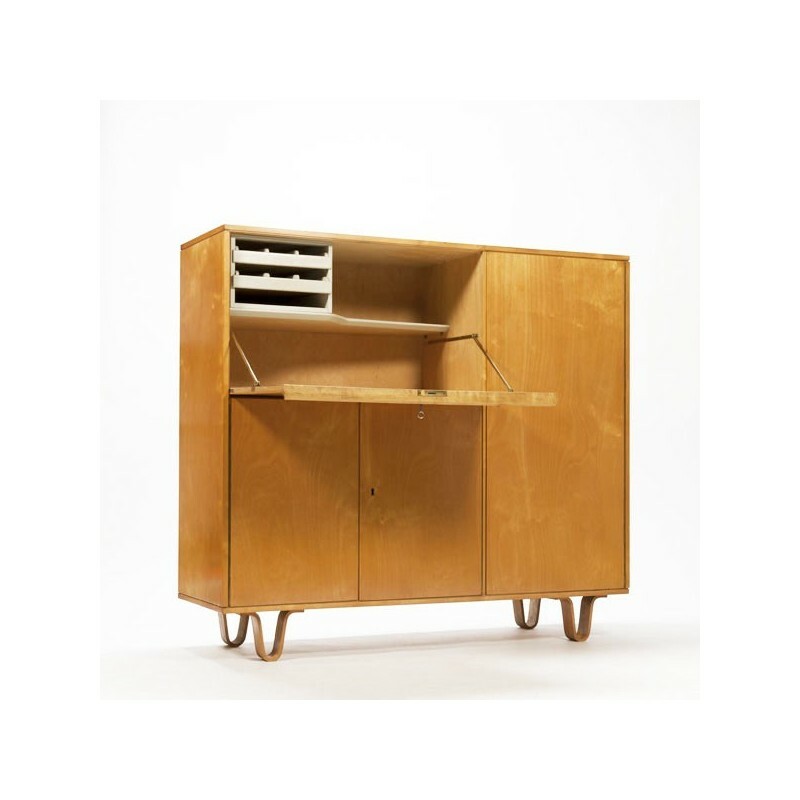 Beautiful vintage Dutch design cabinet. 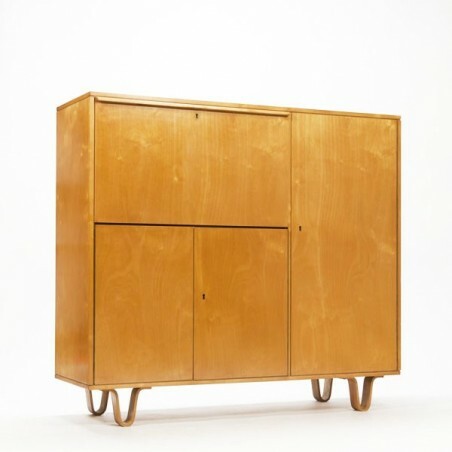 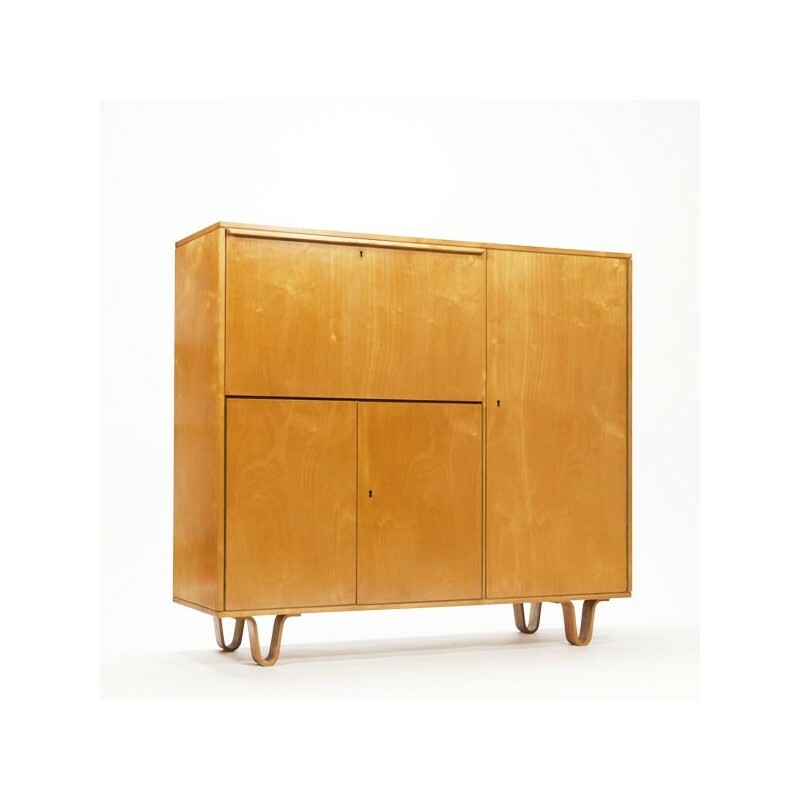 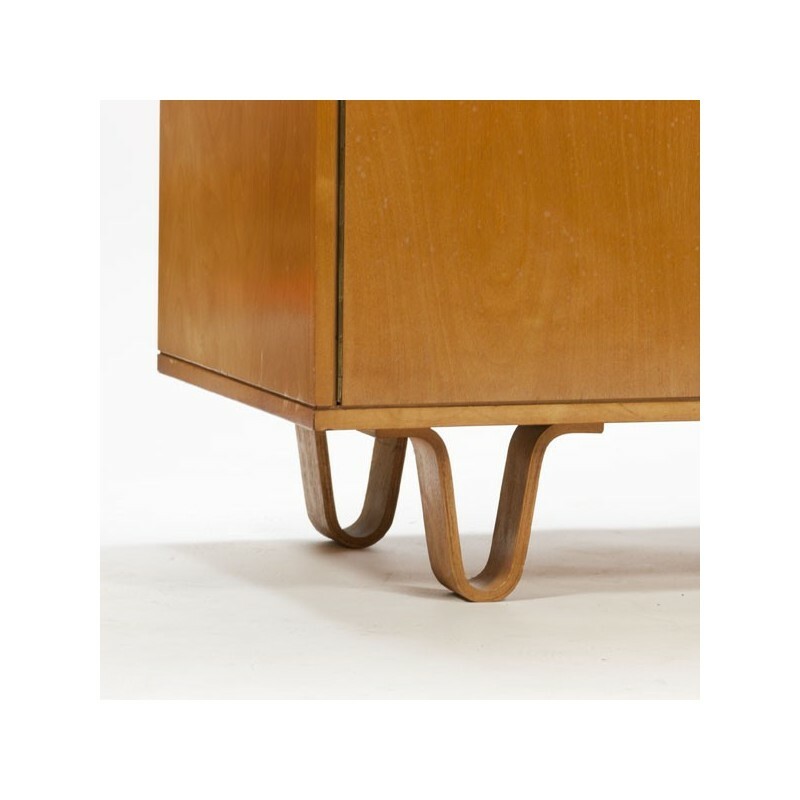 Part of the CB series, the CB01, designed by Cees Braakman for Pastoe in 1951-1952. 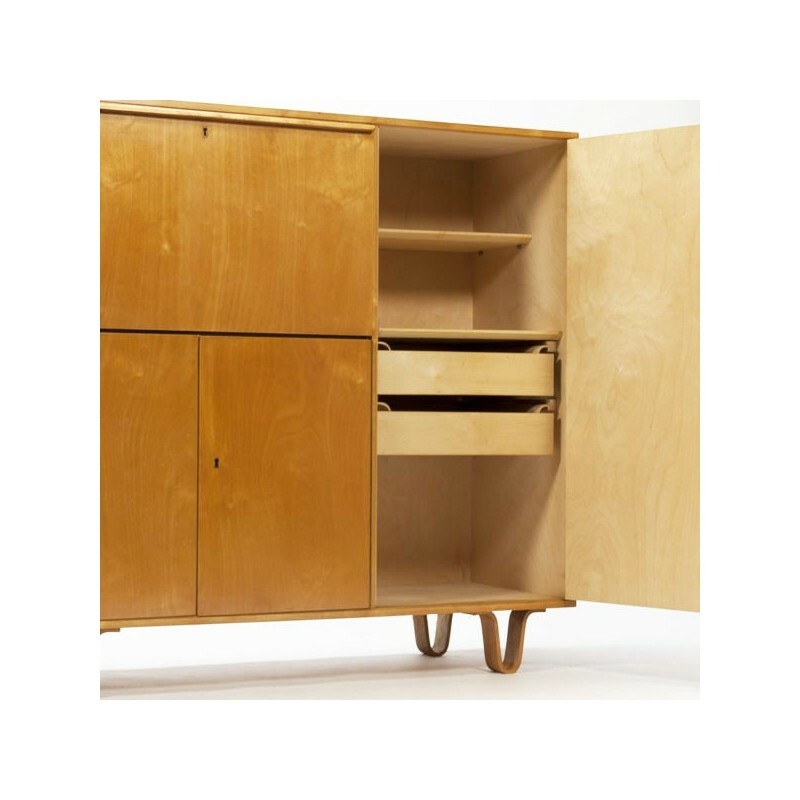 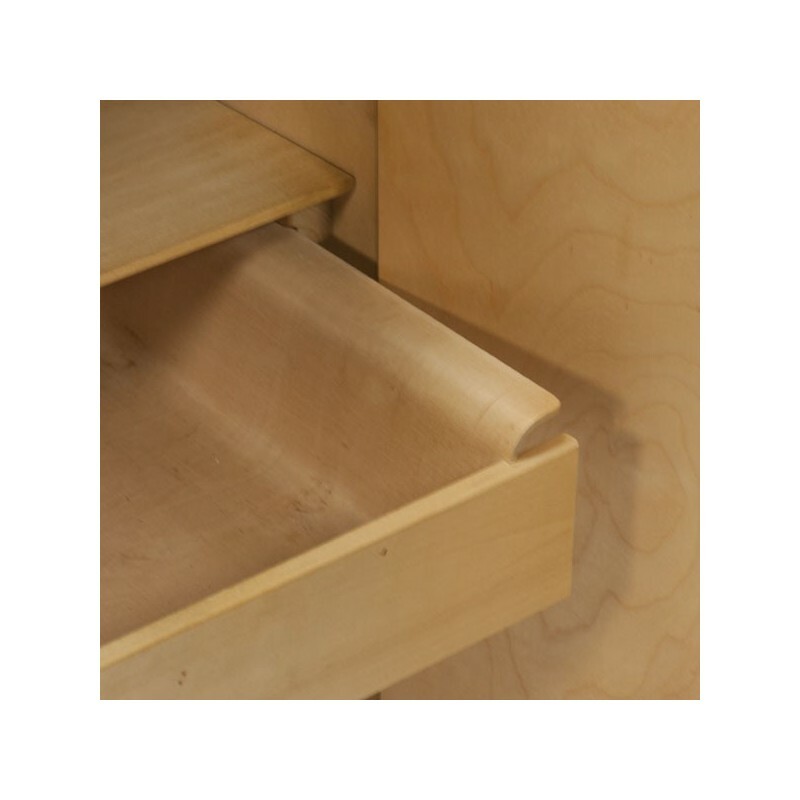 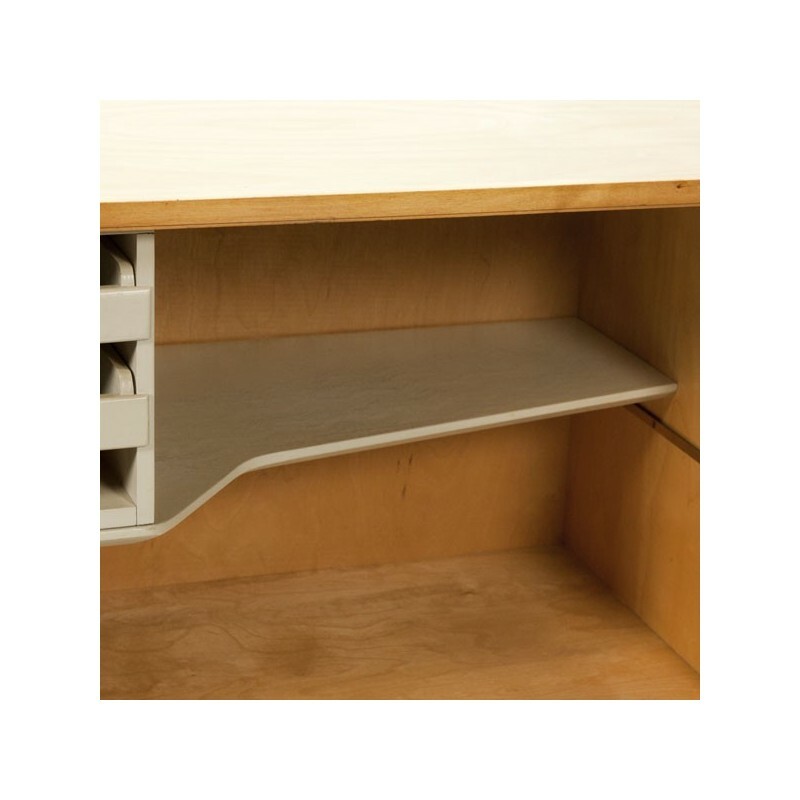 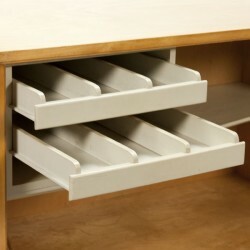 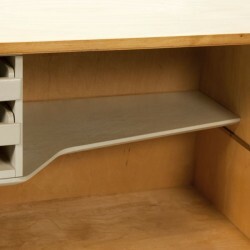 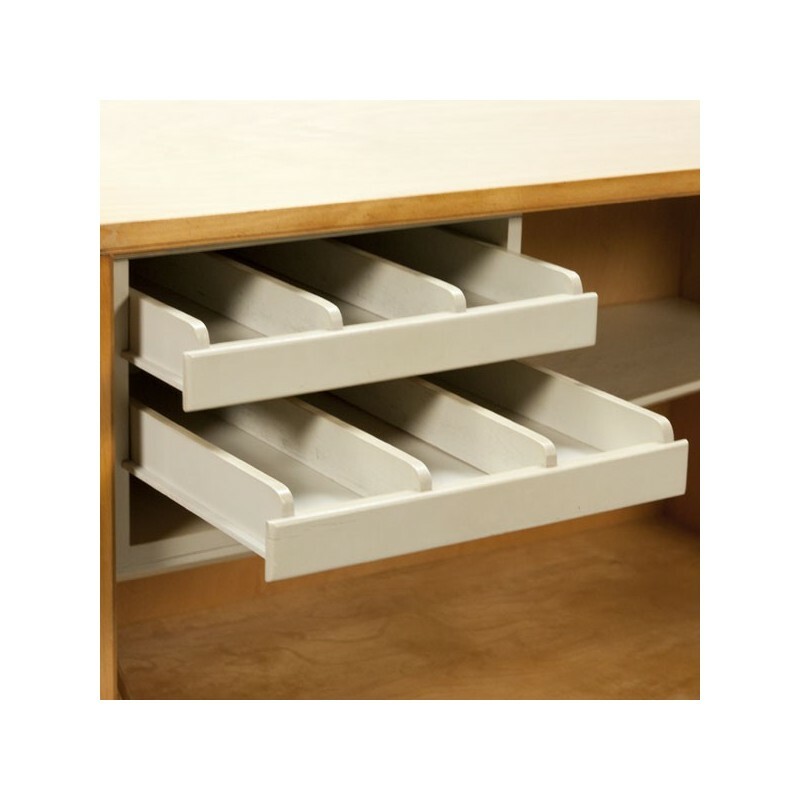 The cabinet has the wonderful and beautifulplywood feet which are characteristic for this series. 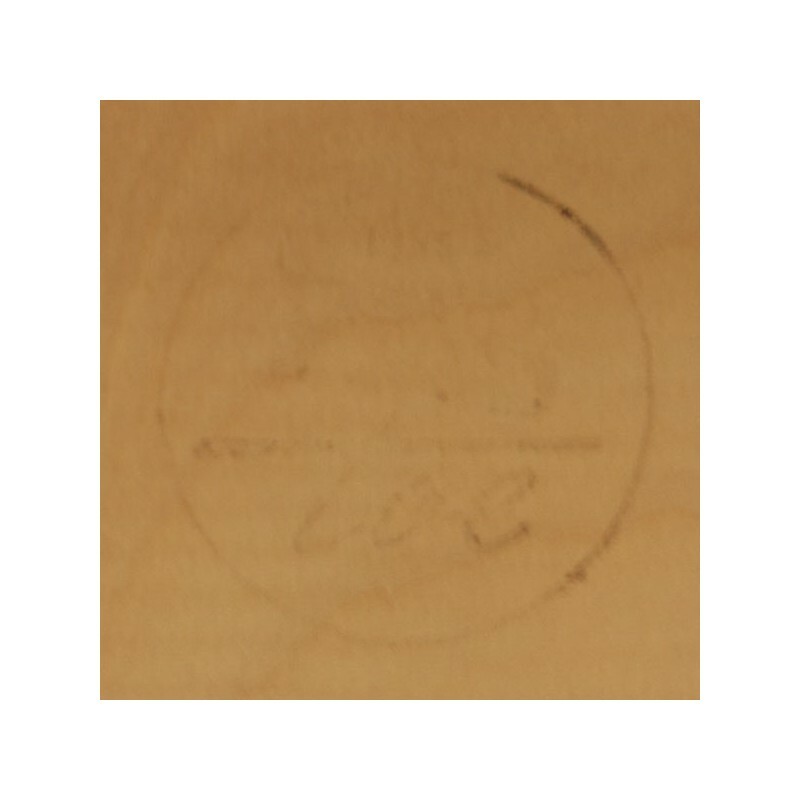 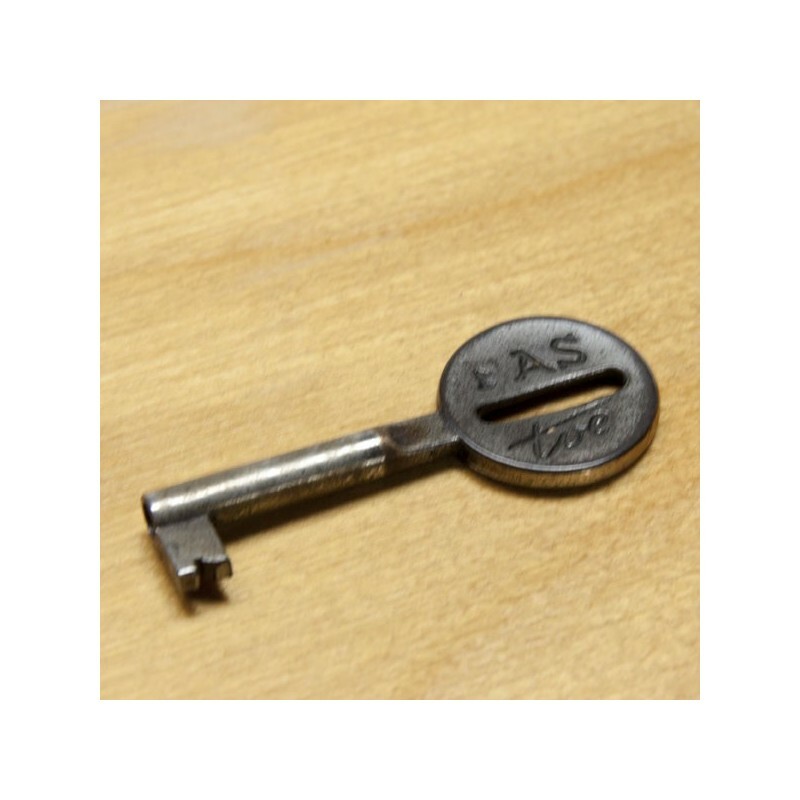 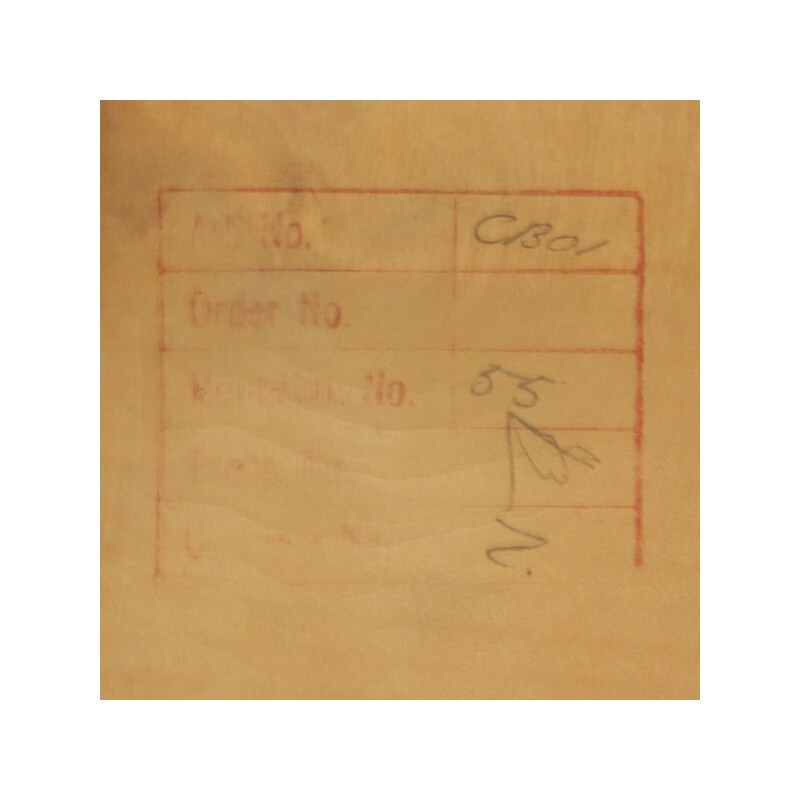 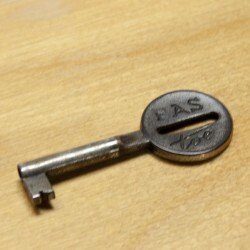 Marked with the stamp of the manufacturer on the back, also the original Pastoe key is present. 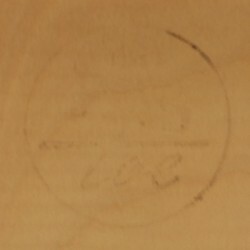 The condition is good considering the age, but there is in one of the drawers an ink spot visible, see the detail photos. 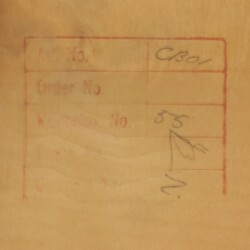 The size is 119 cm H / 131 cm W/ 43 cm D.